My show on Aahaa FM 91.9 has a question hour every day and this is somehow my way of knowing things from the people, their mindset and what makes them tick. The other day mom and I had an incident at the Shell petrol station we haunt and somehow one of the men who had come to fuel up decided to act funny. Mom eventually asked what his problem was and in a while she knew he was inebriated. Eventually the guy swore to destroy our car and whatnot, and when eventually mom collected herself to call the police, the guy rode away, not before ramming into mom before that. Of course I was given strict orders not to get out, though the guy eventually had a problem with me "nodding my head". Apparently women are not supposed to nod their head according to him. What struck us was that the employees of Shell did not care to protect the interests of their customers and the other 30-40 people just stood and watched. Thats when we realized that apathy is rampant. I spoke about the issue on radio the next day, explaining the issue briefly and that it had happened to us, where there several people who called in to give their views on women and their dressing. Notably there were very few lady callers. One of the men who called in, said women should stay at home. Much like the police guy in Bombay who said something on the lines of women should stay at home if they don't want to be subject to sexual harassment (this is with reference to the Mumbai incident on New Year's eve). I would say that even otherwise, within families and friends, we have become too busy to care for people known to us, or check on them once in a while, especially when we know that someone is seriously unwell. I wonder why. Postponing? Maybe. Why is it that people find it uncomfortable to show that they care? As time goes caring might be dead gone and extinct as the dodo. Well Well..that's India for you even in this 21st century! M A L E D O M I N A T E D !!! Would look into this issue in a different way, Having issues .. even if a person gets into an accident people don't want to give a hand, in this case even you did not come out to help ur mom. So every person thinks that help others in need is not so important and they have business to mind. So it should be taught from childhood for people or changing intention is hard. :) I really liked ur hair. It was really gorgeous when I saw u on junior supersinger. Why did u cut itttttttt? It gave u a really good look u know. Yes, grow it back to that length again. I don't know what exactly happened in Shell petrol bunk. But I'm sure inebriated men are more like people without the left brain. Best way is to ignore them and get away ASAP. As the saying goes, "See dhushtan keep distance!". And coming to women/men issue, most problems are because of starved and perverted men who run behind women like dogs hanging their tongue out. And some problems are because of women too, who invite problems. I think it is just the way humans are designed. They just can't simply live without problems! Looks like I am finally getting around to posting a comment here. I've been reading ur space for a while, got here through Shreya's blog. About the issue on how people react to women, in spite of all the awareness and campaigning,advertisements and the like, the mentality of people is never going to change. We can almost 'count' the population who are aware. People like us, do not constitute the 'public' if you know what I mean. Is there a way out of this? It is like a vicious circle. Only if people are willing to change will their children change and will set a thought process in motion through the following generations. In a family, when a male child sees the way his mothers, sisters and women folk are treated, he is 90% more likely to treat his wife and girl child the same way. More than a boy who has seen his mother treated well. This should be instilled at home. But who is going to start this change? What never fails to baffle me is why men behave this way. If it wasn't for us, they wouldn't exist. Women undergo so much to bring life into this world, what stops them from respecting them? This is a never ending debate and will go on and on. uts the same everywhere... i wonder why people are so indifferent..i always remember when i used to get really angry at such incidents when i was a teen(now i jus control my anger) and would want to help or interfere in whats happening evry1 arnd me would(be it friends or ny1) would poke me n ask me to shut up and not invite trouble...it irks me till date!!! Do they sell " Pepper Spray" in India..? Cowardice and Idiocy seems to be on the rise, as a rule. Not surprised to read that a crowd stood watching. I would be surprised if anyone behaved otherwise. No one cares as long as they are directly affected. Read an article about a guy who got caught by Police thanks to false info provided by a fone company, the 'Big'Tel. After 60 days of beating, police found out that the accused was innocent. What did he get? Liver problems and not even a 'sorry'. Law says the police officer cannot be punished. Non of the big news channels cared to report. General public didn't care either, everybody is busy! We are heading back to stone age, I guess. what the guy did to your mom was verbal threat, and in Singapore you can even charge him for sexual harassment. You are sure to have someone in shell who can prove it and just bring it to the police and eventually the courts. sue him, if u have his license plate number its not too late. This will serve as a lesson for road bullies. i used to drive a military vehicle and no one dares to even cut my lane.this has never happen to me but, if it did i am not going to let the matter rest. arun sundar: I do not know about the inviting problems thing.. A lot of things are unexplained.. mob fury and wotnot..
ne: well if we are aware, then the next generation will be more aware... change, though slow, does most definitely happen. Upbringing is the concern of every family member.. what starts out as a ripple might just be quite a wave.. you never know. And Neha .. I can quite imagine!! vassan: Yeah it crossed my mind.. I am going to carry a few and spray quite a bit in every ones eyes who misbehaves on the roads. vasanthan: The employees of Shell wouldnt even move a finger and do you think they will come and testify?? I dont think so. This type of incident happen every part of the India. You people share your thoughts. But most of the people dont tell to his/her family also. But really we condemn the employees of Shell worst customer service. 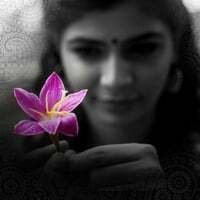 Today morning show is really very nice Chinmayi.. Today i spoke to you (Siranthu Pirantha Mozhikalukku Mathiyil Siranthe Pirantha Tamizh Mozhiyal Ungalukku Pongal Nal Vazhthukkal) its nice and memorable to me..
Any way We Pray for your Future.. Finally i share one quote to you. "IF NOT NOW, THEN WHEN? Reading my post again, I felt a bit guilty because, it might sound arrogant from an angle. Hey... :) I been following ur blogs for quite a while. thot I'd debut my comments on this. I'd have preferred you get out of the car. A young lady in trouble gets more attention ;) for help. No jokes. In fact it s not jus apathy thats rampant.. also is selfishness and self-centeredness. Like they say.. thanakku vandhaathan valiyum joramum (Fever :p)!!! "Why is it that people find it uncomfortable to show that they care? As time goes caring might be dead gone and extinct as the dodo." hey.. dont approve this.. jus a suggestion.. I know u'd see this before it appears.. so!!! Comparing ur voice on audio... and TV... I'd prefer ur natural voice to this one. Maybe the ppl around have suggested... but.. :) give it a fair thought!! !